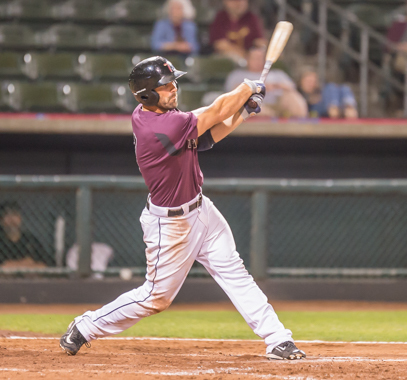 The T-Bones have re-signed infielder Brett Wiley to a contract for the 2017 season. 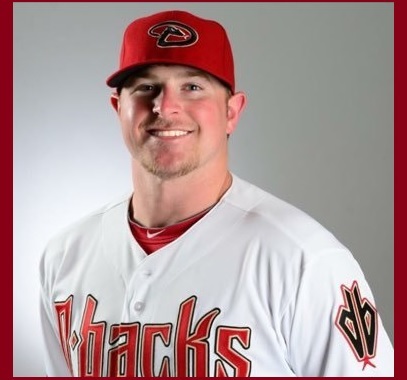 On this Christmas 2016, here at tbonesbaseball.com we thought it would be fun to get some memorable Christmas stories from our front office staff. 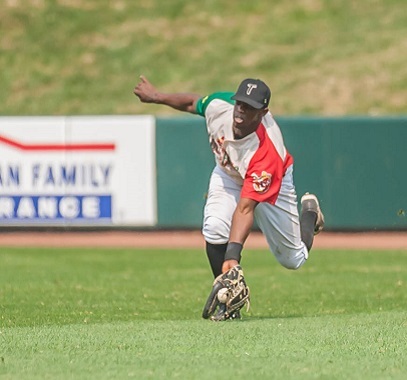 The T-Bones have signed right-handed pitcher Luis Paula to a contract for 2017. 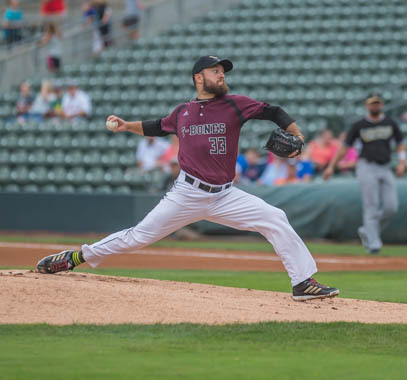 The T-Bones announced that the Colorado Rockies have purchased the contract of pitcher David Holman. The T-Bones announced that 2017 renewals for group tickets will begin Tuesday, Dec. 13, at 10 a.m. 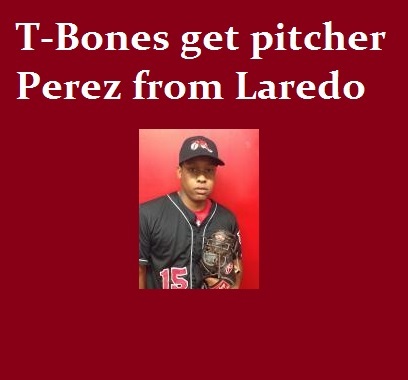 In the first move of the Joe Calfapietra era, the T-Bones have acquired starting pitcher Gabe Perez from Laredo. 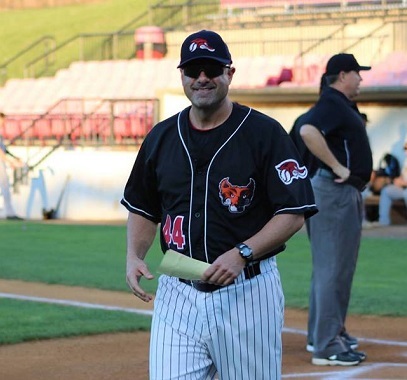 As an early way to get to know new T-Bones manager Joe Calfapietra, the following is today's story posted on the New Jersey Jackals' website. 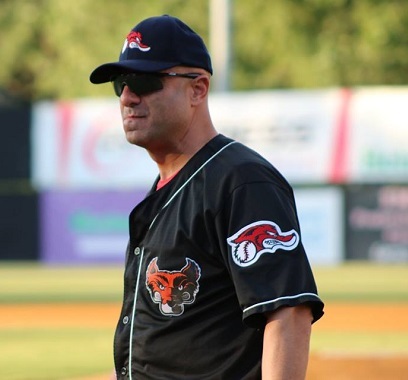 The T-Bones have announced that long-time New Jersey Jackals' skipper Joe Calfapietra has been hired as the club’s new manager. 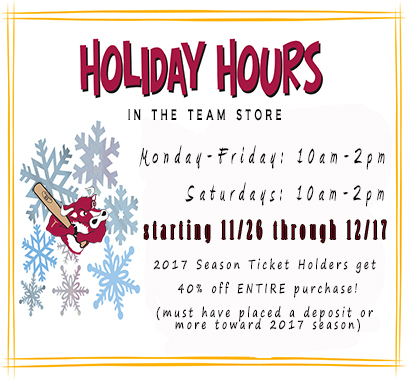 While out holiday shopping, make sure to stop by the T-Bones' team store, the Meat Locker! 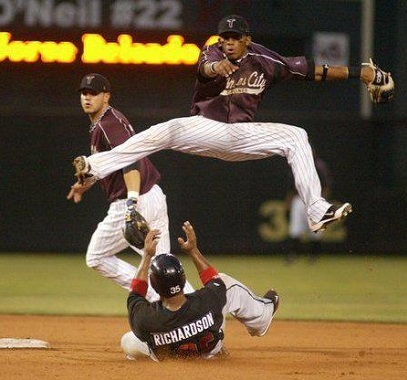 Tyler Massey quickly became one of the best centerfielders in the American Association but here are nine things you may not have known about him. 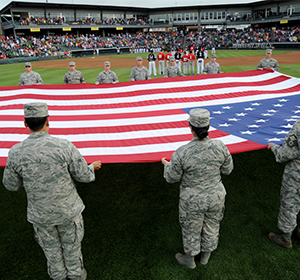 As we salute all military personnel on this Veteran's Day, here is a letter from our owner, John Ehlert. The recent story of Miami purchasing Dalton Wheat's contract has many curious about his gloves. The T-Bones have announced their 100-game schedule for the 2017 season, which will be the club’s 15th in Kansas City. 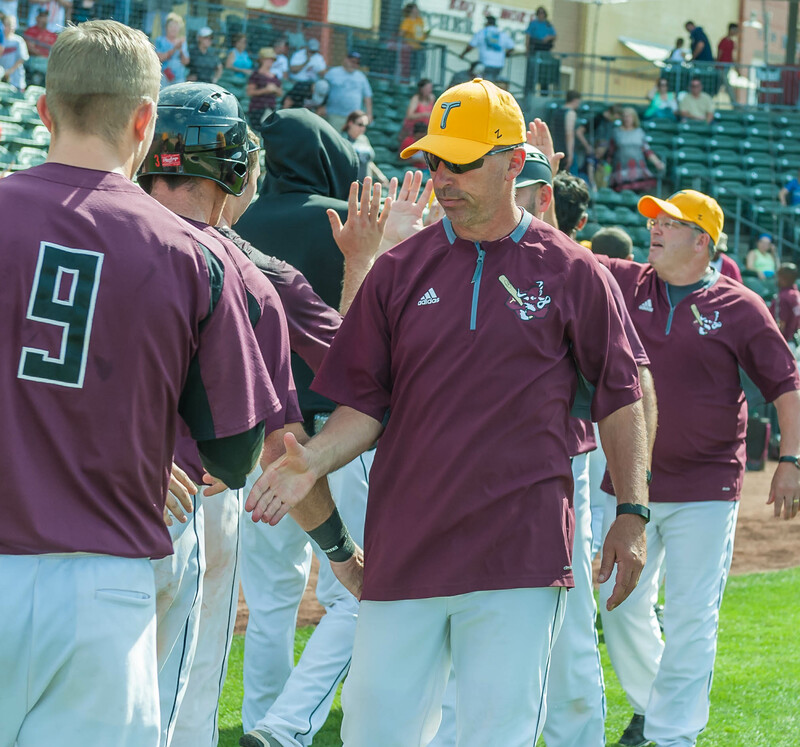 The T-Bones have announced that manager John Massarelli’s contract will not be renewed for 2017. 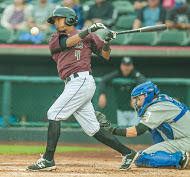 Vladimir Frias has been the T-Bones' ESPN highlight reel for three seasons. But here are nine things you may not know about Frias. 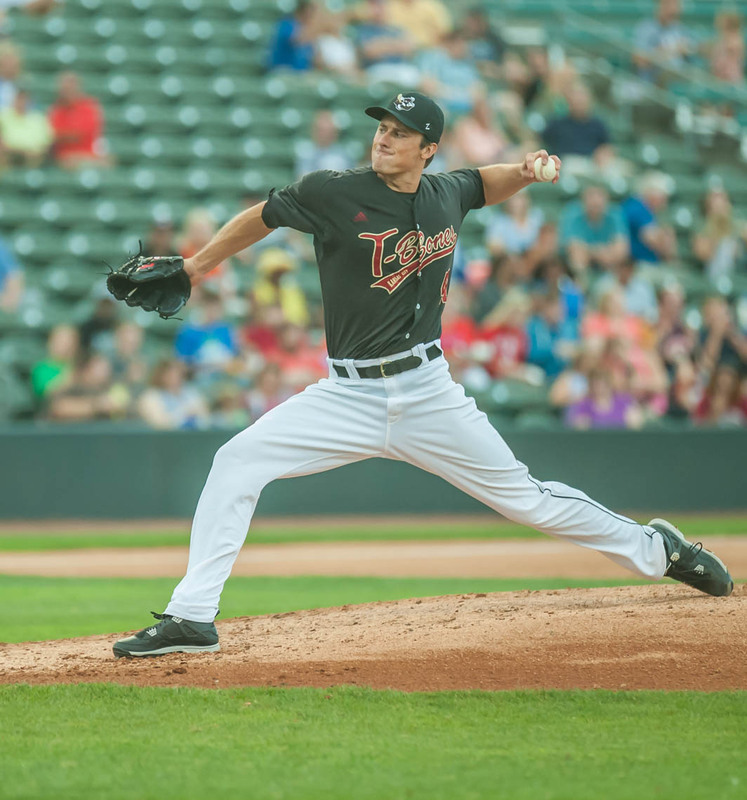 Mike Kickham had big dreams as a child, only to be told to find something more realistic. Those dreams have worked out OK. The T-Bones announced they have exercised the 2017 option on 19 players. 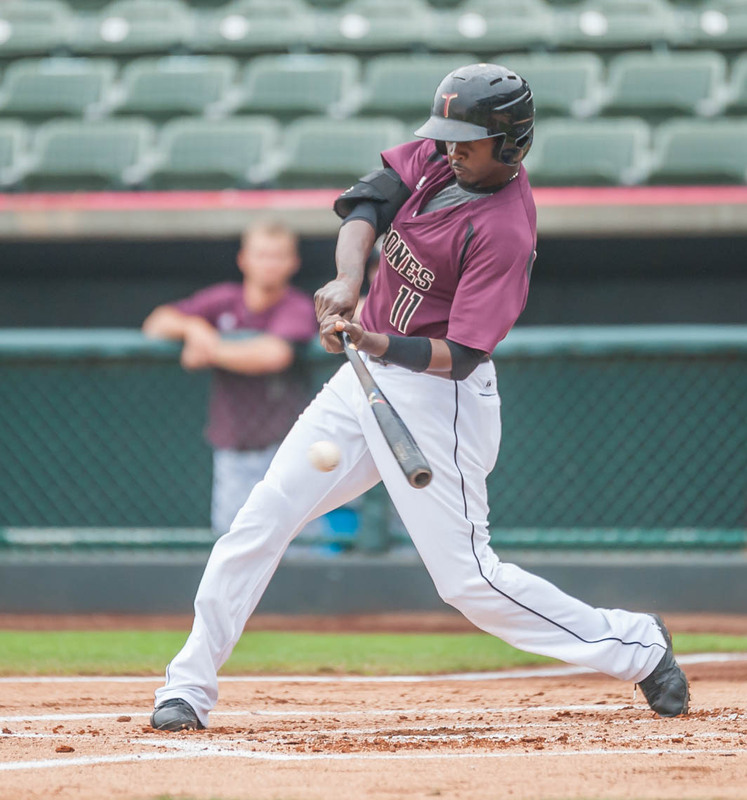 The T-Bones fell to the Sioux Falls Canaries Saturday night at CommunityAmerica Ballpark. 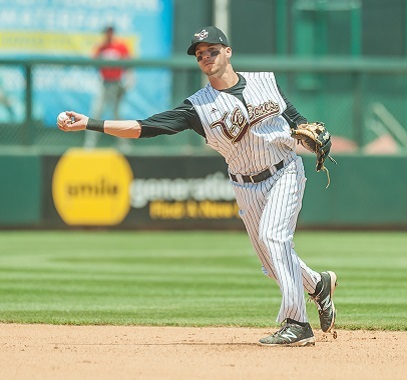 The American Association has announced that T-Bones infielder Brett Wiley has been selected as the league’s Postseason All-Star second baseman. 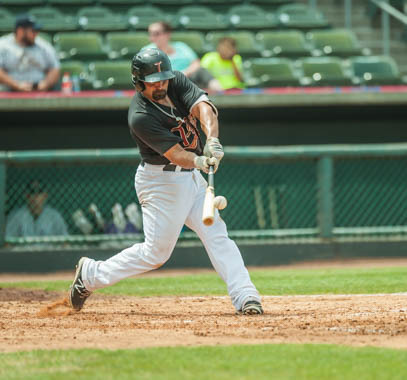 Fargo-Moorhead scored in each of its final three innings and dropped the T-Bones, 4-3, Thursday afternoon. 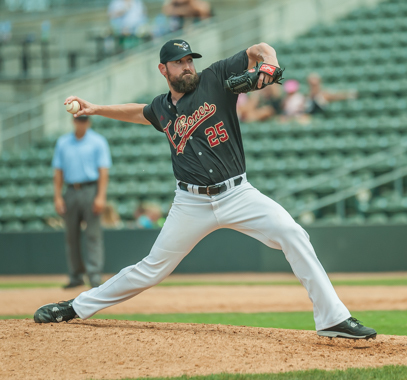 Kansas City got late heroics in a 2-1 extra-inning pitchers’ duel win over Fargo-Moorhead on Wednesday night. 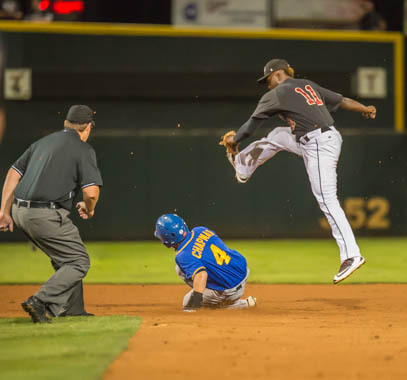 Fargo-Moorhead defeated Kansas City, 7-3, behind five extra-base hits Tuesday night at Newman Outdoor Field. 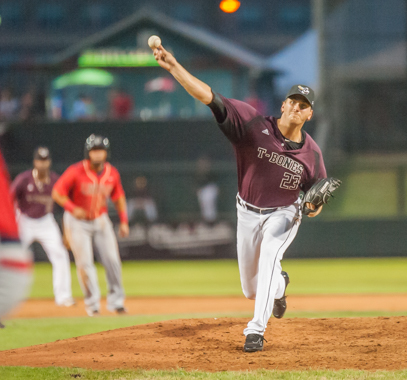 Fargo-Moorhead starting pitcher Tyler Alexander allowed only five hits in a shutout of the Kansas City T-Bones, 4-0, Monday night. 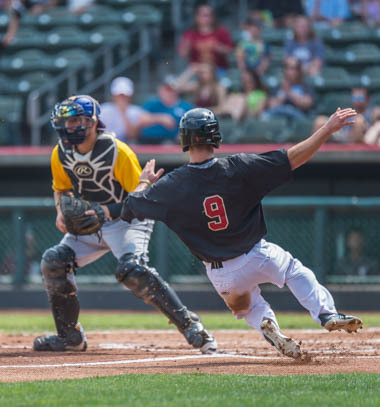 Kansas City scored in three consecutive innings and avoided the sweep, defeating Gary SouthShore, 5-1, Sunday afternoon at U.S. Steel Yard. 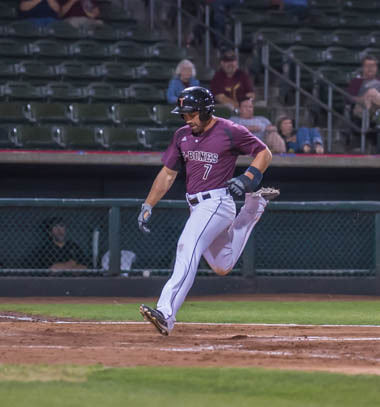 Kansas City allowed seven runs in the fifth inning and five runs in the eighth as the T-Bones fell to Gary SouthShore, 12-5, Saturday night. Kansas City fell behind early against Gary SouthShore and could not climb back, losing the first game of the series, 8-3, Friday night. 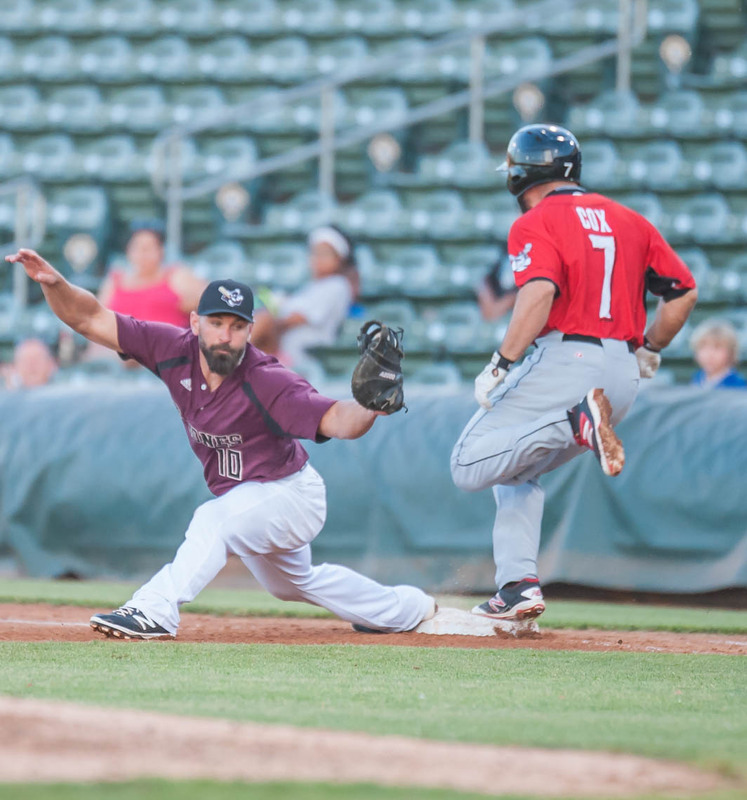 "Marlin's Man" to coach first base during Sept. 3 game against Sioux Falls as part of Gold Glove Charities event. Late runs not enough for T-Bones. Gallas� big night not enough for K.C. 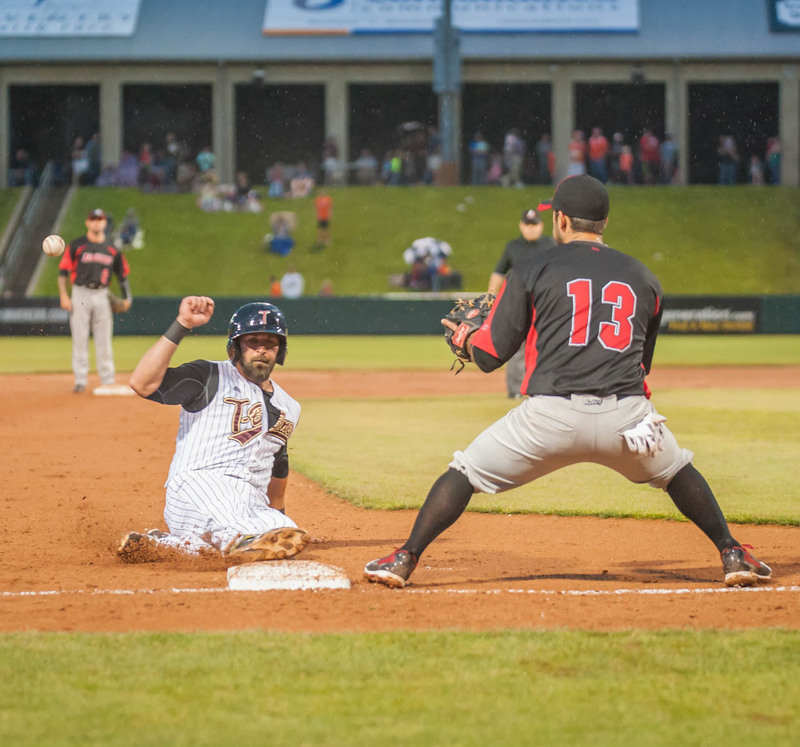 Kansas City fell to Laredo Tuesday night at CommunityAmerica Ballpark. 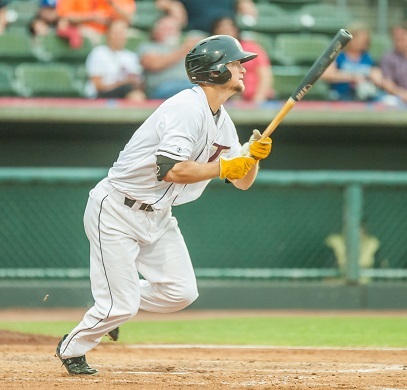 The T-Bones dropped the series to Texas. 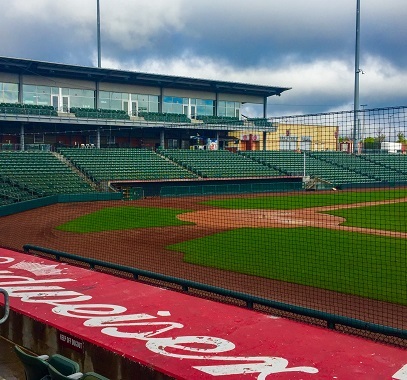 On Saturday, a different sport will be seen at CommunityAmerica Ballpark, as the stadium will be the site of Metro Pro Wrestling matches that night. 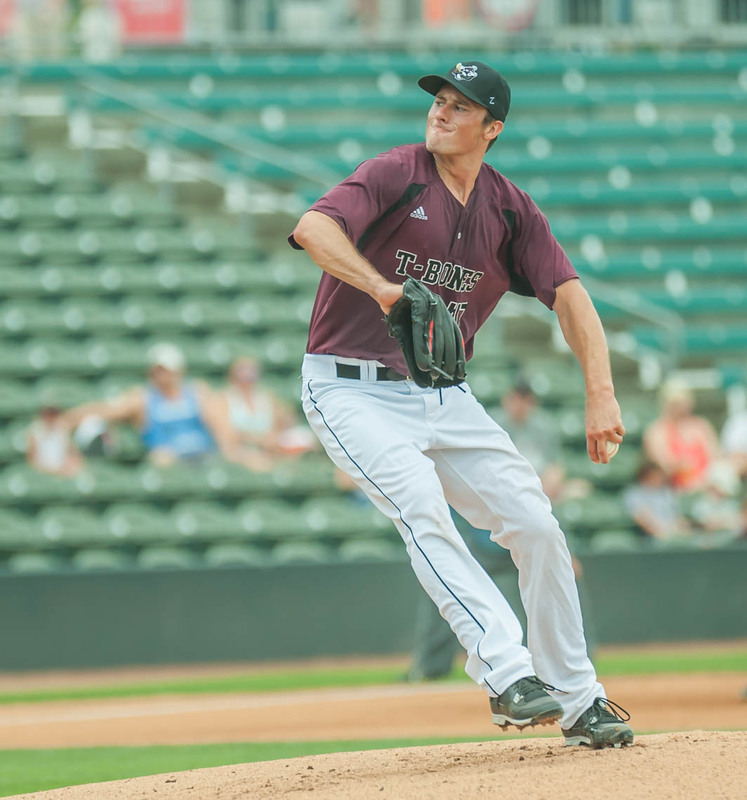 Evan DeLuca has been one of the most consistent T-Bones pitchers this season. Here are nine things you may not know about him, though. 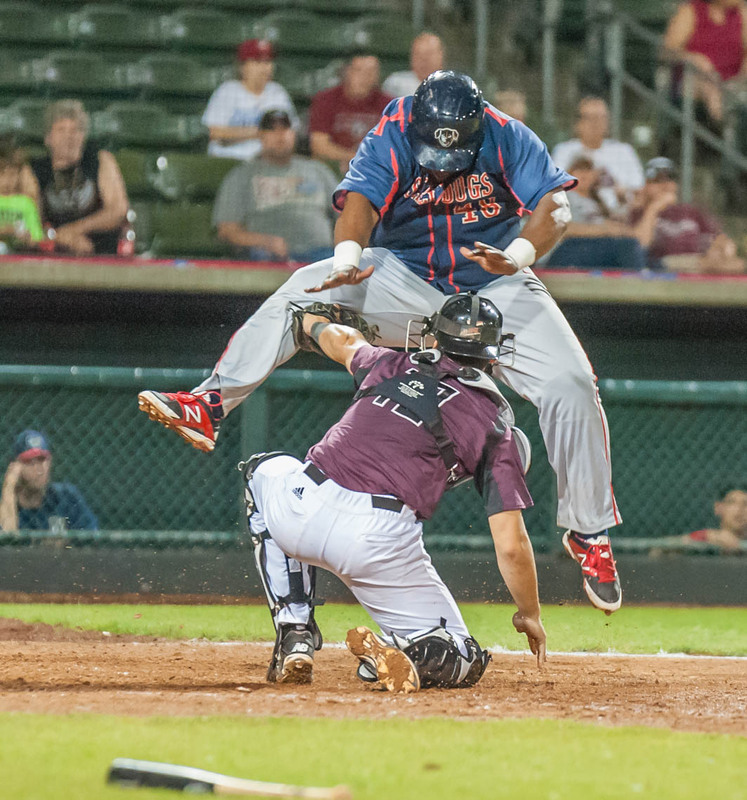 The T-Bones gave up a late run to Wichita on Thursday night, resulting in a 5-4 loss to the Wingnuts at Lawrence-Dumont Stadium. 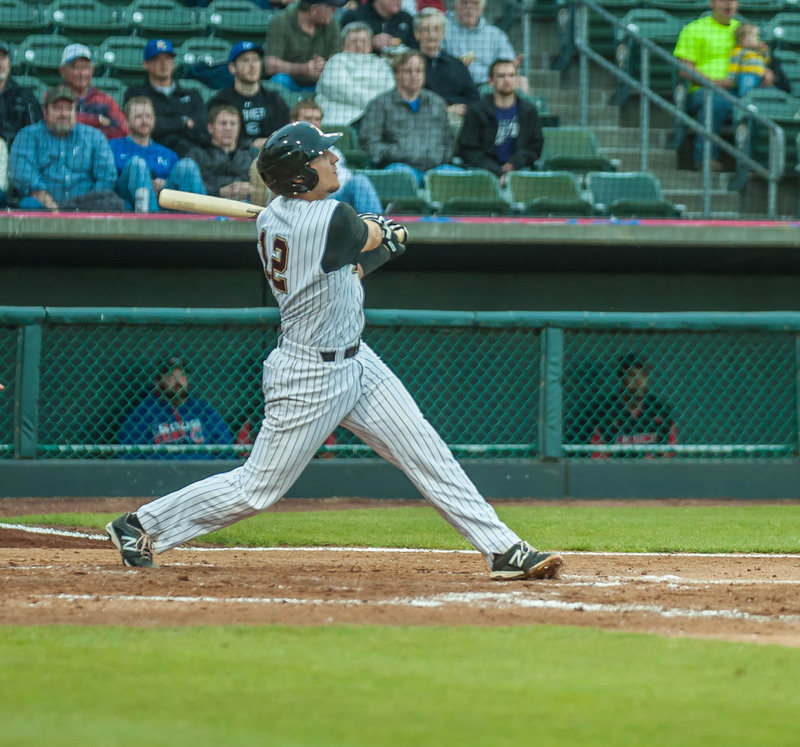 Kansas City smashed three home runs in the second game of a doubleheader against Wichita, salvaging the twin-bill with a 6-3 win on Tuesday night. 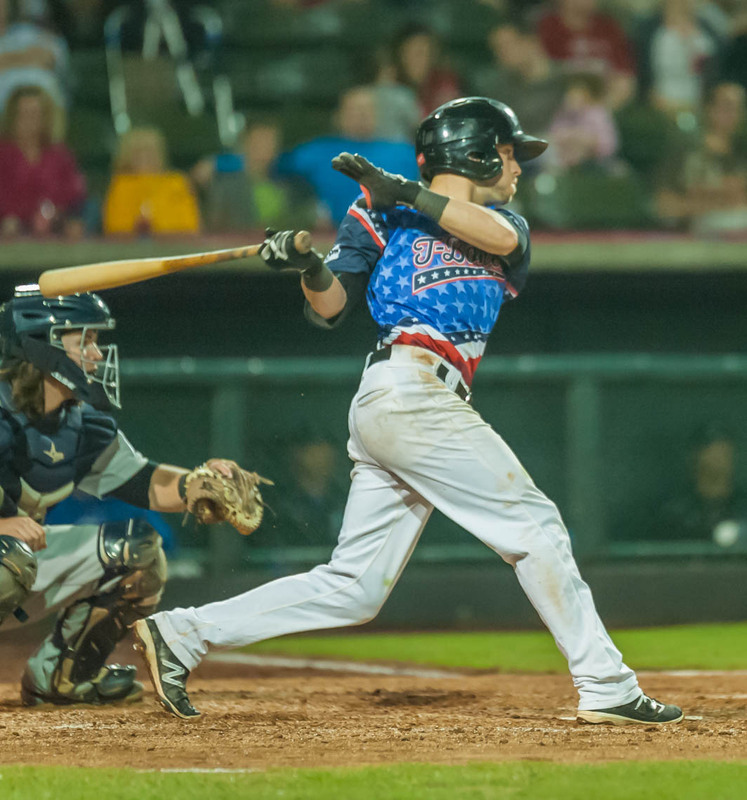 The T-Bones earned first sweep of the season Wednesday night against the Lincoln Saltdogs. Kickham�s nine Ks lead K.C. 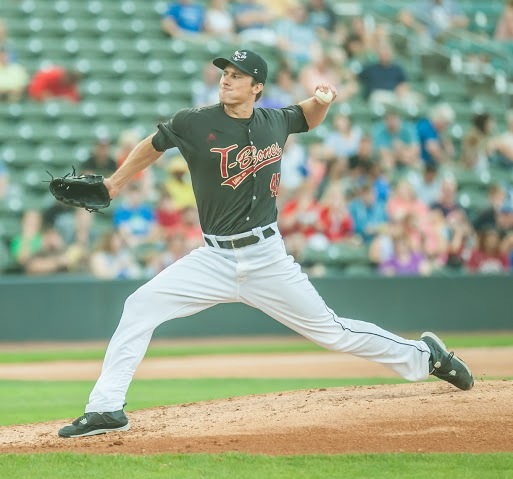 Mike Kickham threw eight shut-out innings in Kansas City's 8-0 victory over Lincoln. 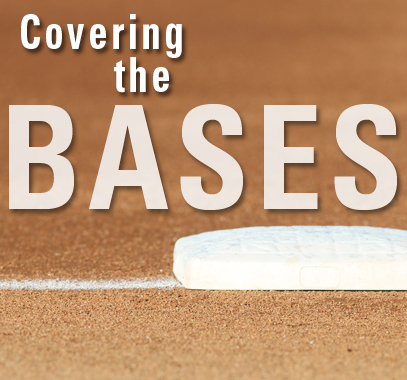 What are centerfielder Tyler Massey’s three keys to tracking down a fly ball in the gap? 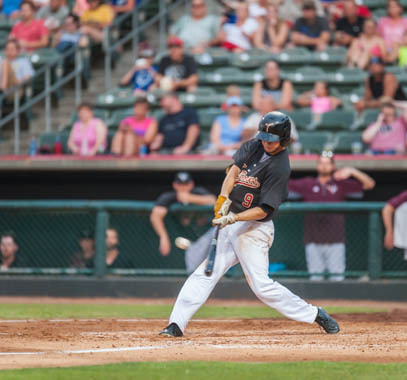 Kansas City took Sioux City 11 innings Sunday afternoon but ultimately fell, 5-4, after a bases loaded infield single at Lewis and Clark Park. 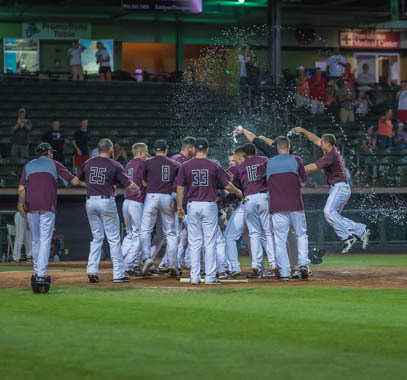 The T-Bones scored five runs in the final two innings and beat the Sioux City Explorers in 10 innings, 6-3, Saturday night. 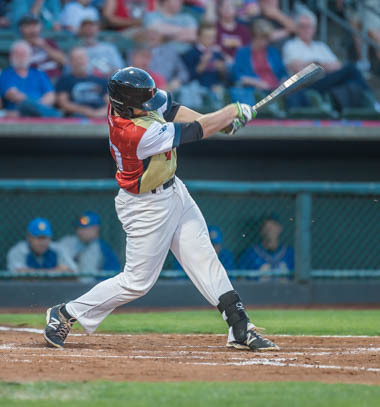 Kansas City saw its first lead of the series early Friday night but could not hold on in a 5-1 loss to the Sioux City Explorers. 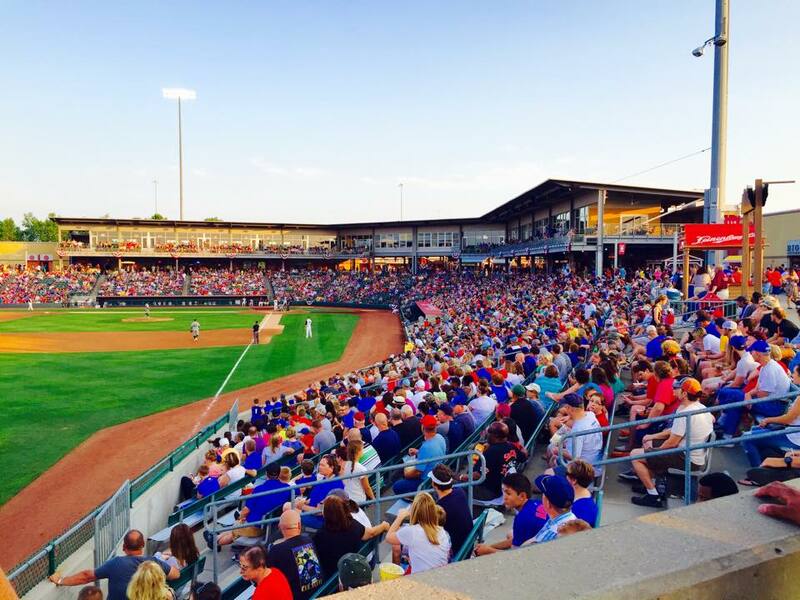 Sioux City scored a combined four runs in the first two innings Thursday night against Kansas City, and went on to win 11-4. 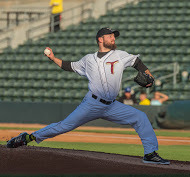 Talking with T-Bones pitcher Jordan Cooper, it's obvious that he enjoys being in Kansas City, but he has bigger plans. 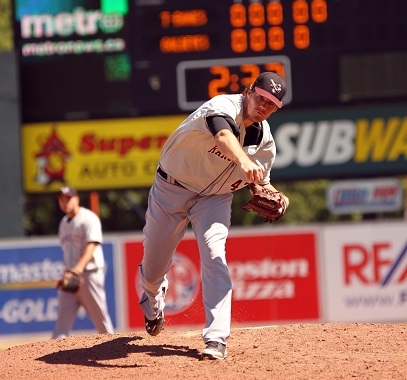 The Winnipeg Goldeyes completed a three-game sweep of the Kansas City T-Bones with a 2-0 win Sunday afternoon at Shaw Park. 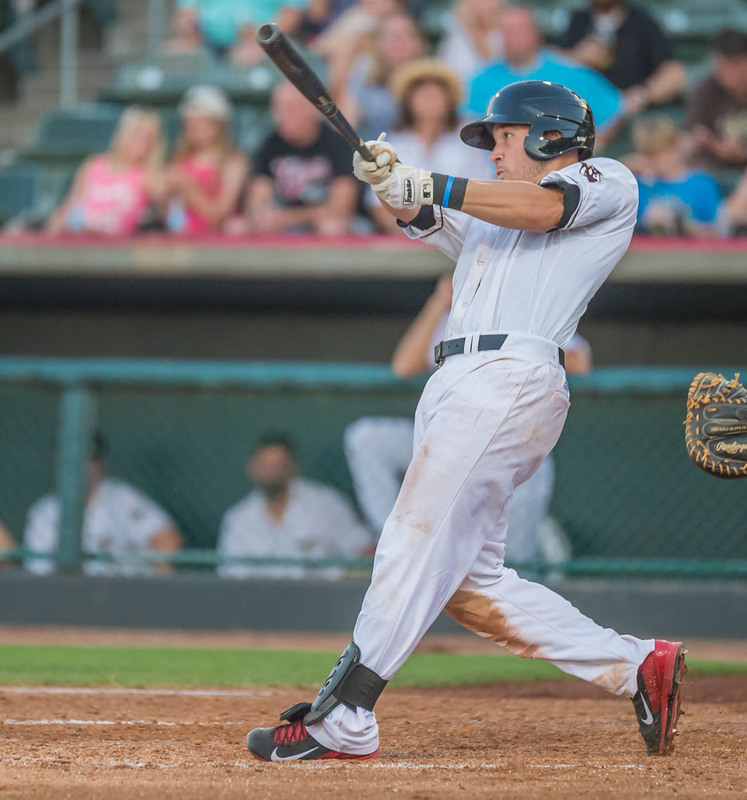 For the second straight night, the T-Bones lost on a heartbreaking walk-off at Winnipeg. Kansas City spotted Winnipeg five runs in the first inning, only to come back and see an eventual six-run lead evaporate in 11 innings. 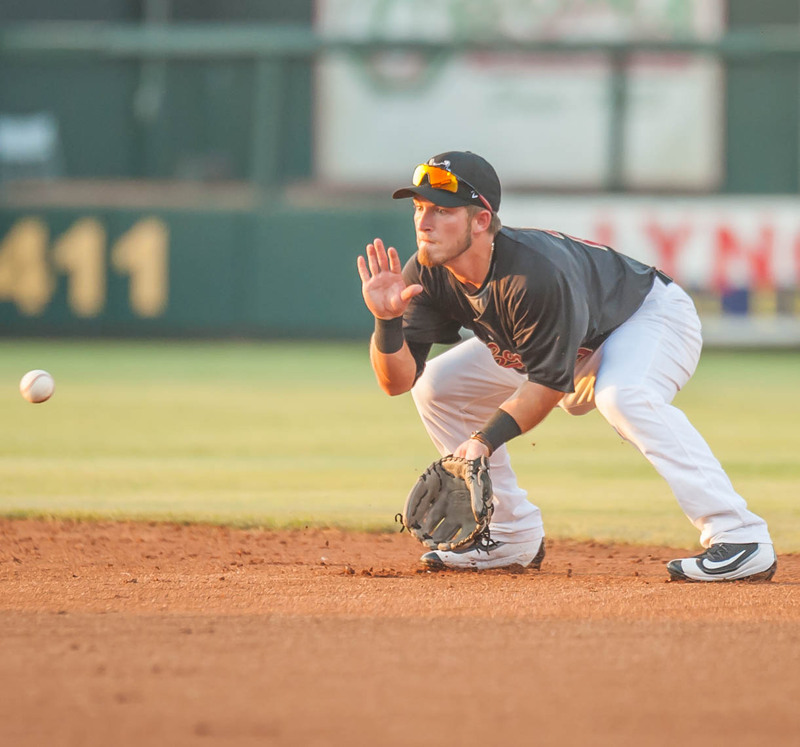 T-Bones fall in final game of the series, 7-3. 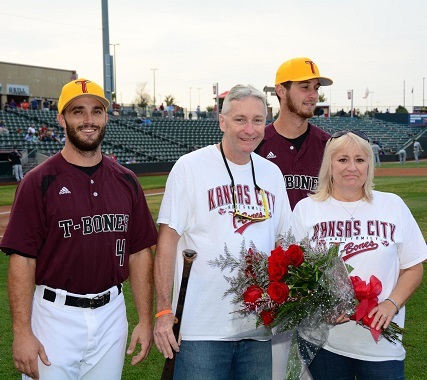 The T-Bones have announced that they will be honoring the Kansas Reviving Baseball in the Inner Cities (RBI) program at Sunday’s game. 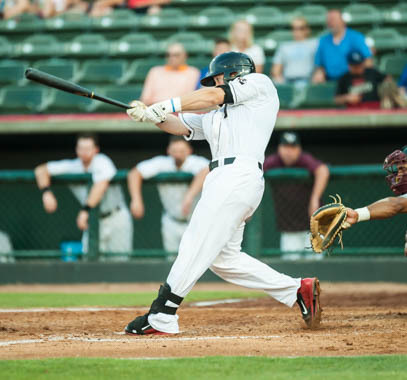 The T-Bones held a lead most of Thursday night until the Lincoln Saltdogs scored seven runs in the seventh and won 11-7. 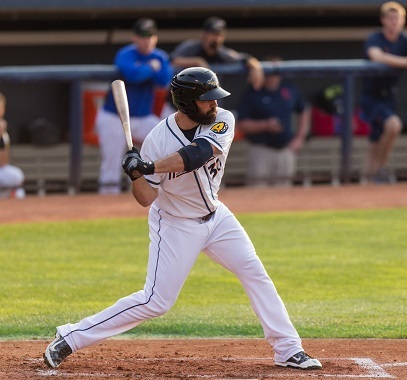 The Lincoln Saltdogs got a home run in the seventh inning Wednesday night, and held on to beat Kansas City, 3-2, at Haymarket Park. 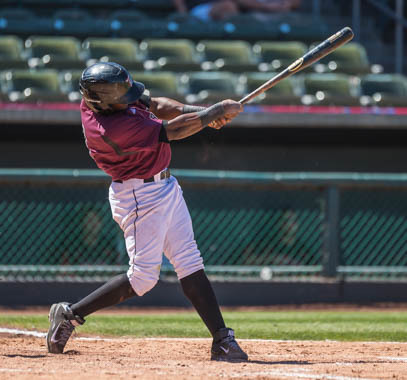 The American Association announced today that pitcher Mark Haynes will represent the T-Bones in the league’s All-Star Game. 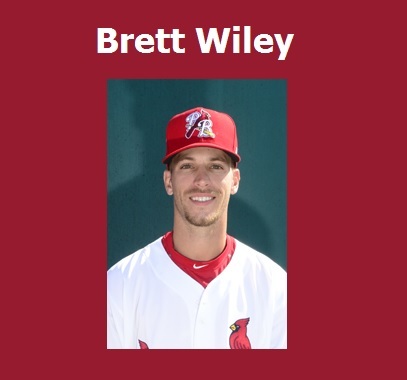 Brett Wiley launched his fifth home run of the season in the top of the ninth, as Kansas City beat Lincoln, 5-4, on Tuesday night at Haymarket Park. 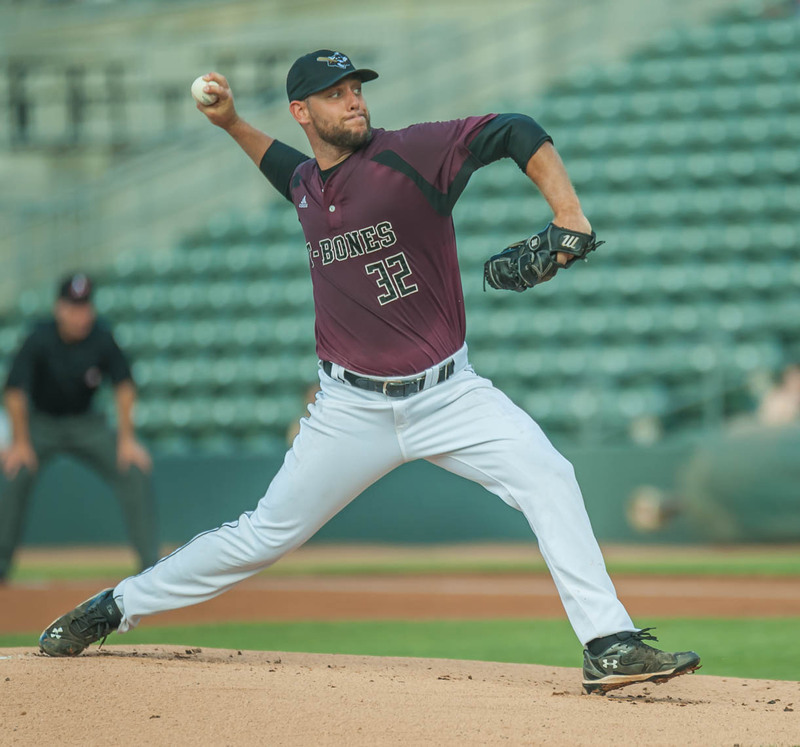 The American Association has announced that T-Bones pitcher Josh Hodges is the league’s Pointstreak Pitcher of the Week. Kansas City scored seven late runs but couldn’t hold the lead in the ninth, losing 9-8 on a walk-off home run in the 12th to Joplin. 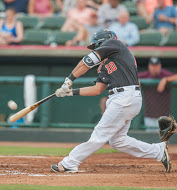 The T-Bones hit three home runs, including a grand slam by Jake Blackwood, en route to an 11-1 win over the Joplin Blasters on Saturday night. 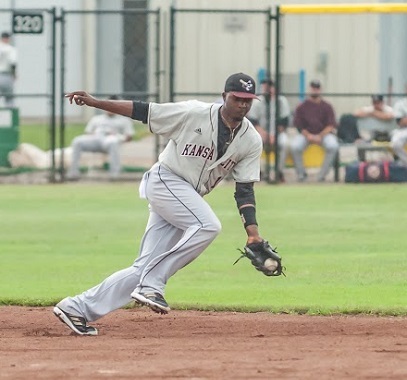 Joplin defeated Kansas City, 7-2, Friday night at Joe Becker Stadium, thanks largely to Blaster starter Alex De La Cruz. 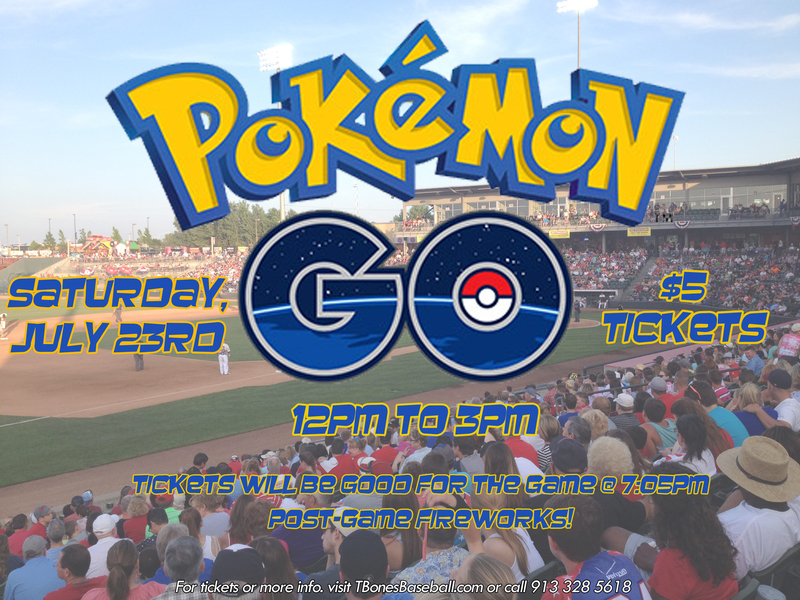 The T-Bones will be hosting Pokemon Go players on Saturday, July 23, at CommunityAmerica Ballpark. 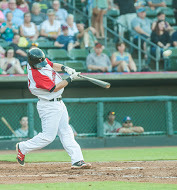 Kansas City got a series split with Laredo, after winning the series finale, 4-2, Thursday night at Uni-Trade Stadium. 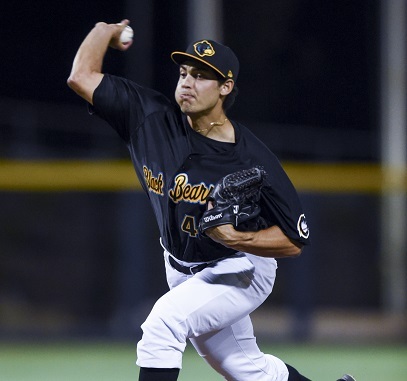 Laredo pitcher Barret Loux threw 7 shutout innings, as the Lemurs beat the Kansas City T-Bones 3-0 Wednesday night at Uni-Trade Stadium. Laredo pitchers issued four walks in the top of the 10th inning, as Kansas City won 5-4 Tuesday night. 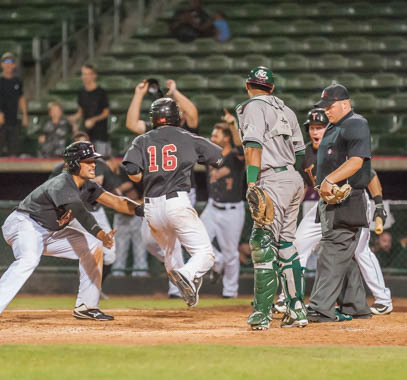 Laredo got a bases loaded sacrifice fly by Alvaro Rondon in the bottom of the ninth, beating Kansas City, 2-1, Monday night. 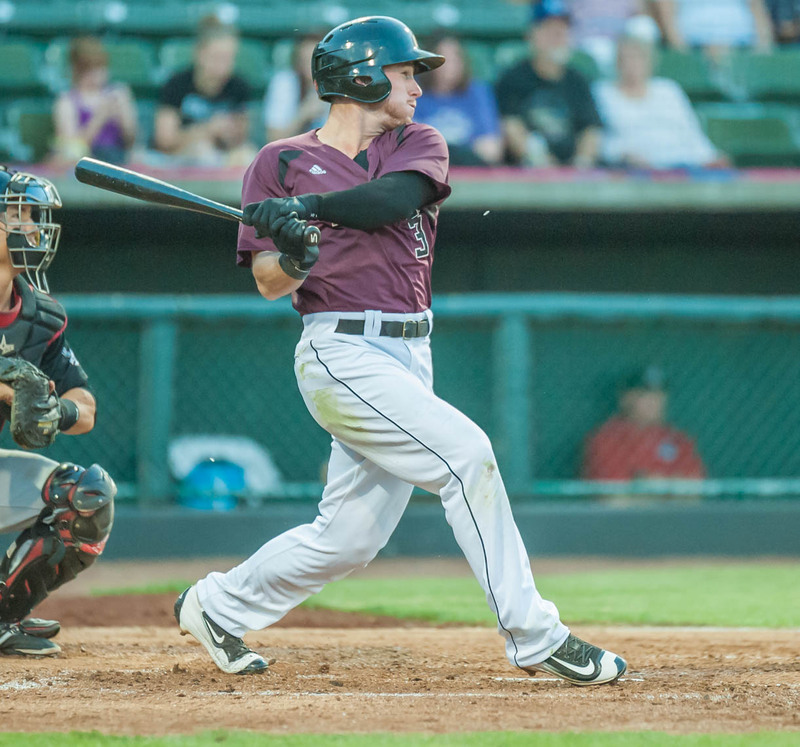 The American Association has announced that T-Bones second baseman Brett Wiley is the league’s Pointstreak Player of the Week. 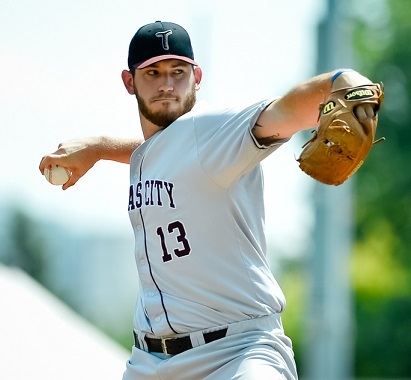 The T-Bones announced that pitcher Josh Tols will be representing Team Australia at the 28th Honkbal Tournament in Haarlem, Netherlands. 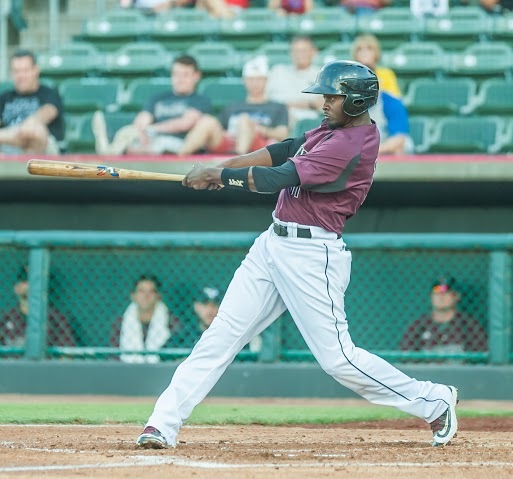 The Kansas City T-Bones dropped the series finale to Sioux Falls Wednesday night, 7-4 final. 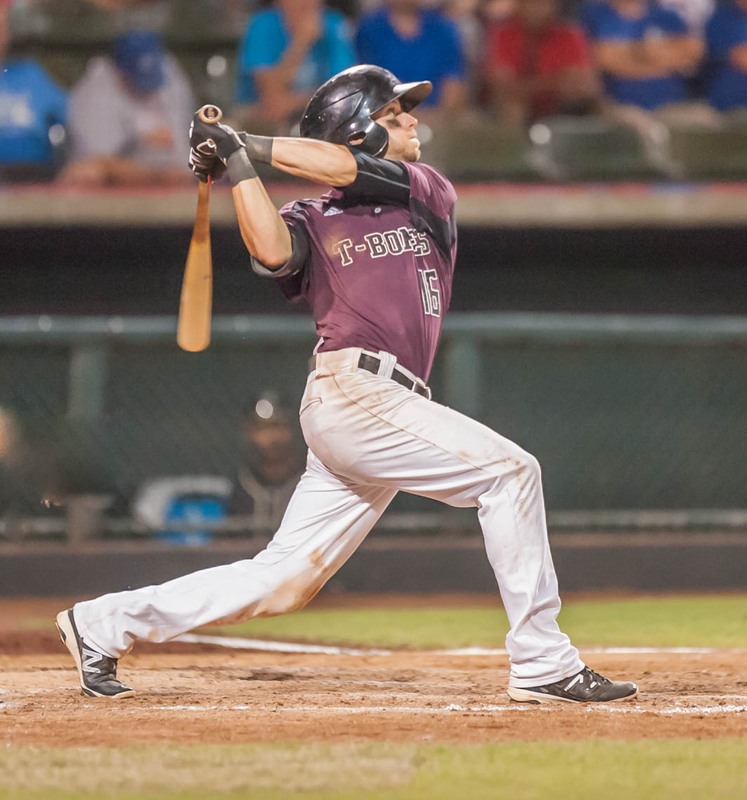 The Kansas City T-Bones squeaked by Sioux Falls Tuesday night at The Birdcage, in a 9-7 final. 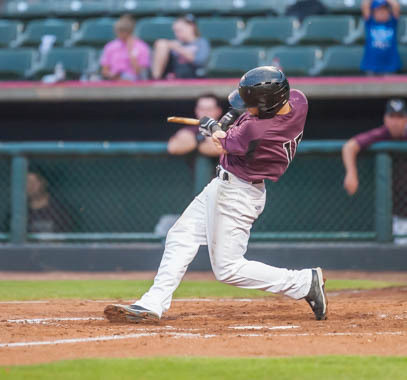 The Kansas City T-Bones beat Sioux Falls Monday night at The Birdcage, in a 7-5 final. 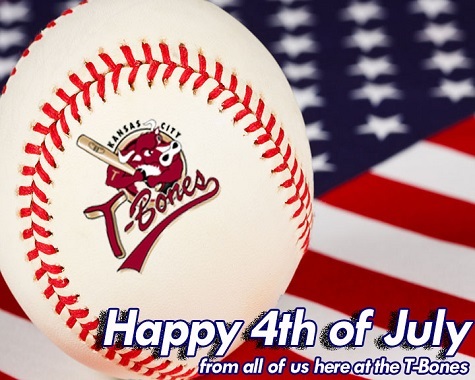 Happy Fourth of July from the T-Bones! 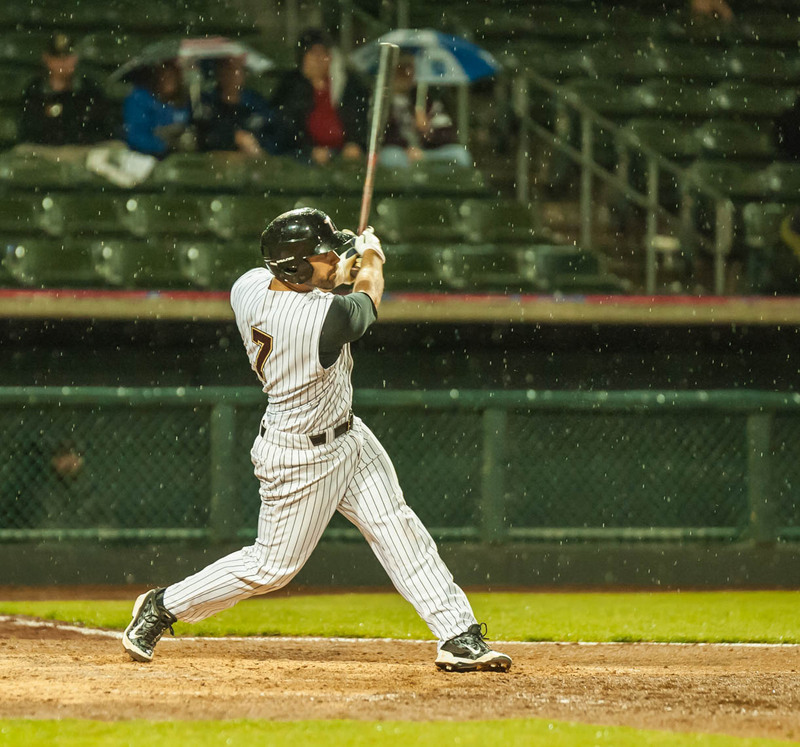 After Saturday's game was suspended due to rain, the T-Bones took a 6-3 victory over the Saints on Sunday. 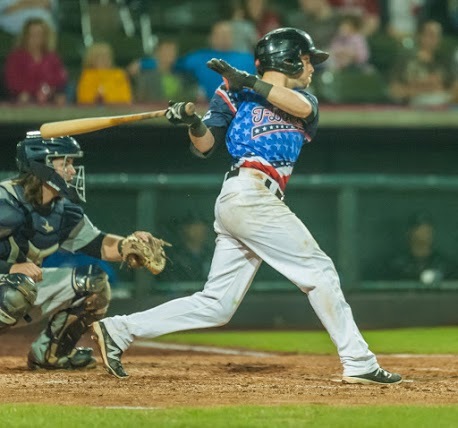 Lincoln jumped out to an early lead Thursday night and stopped the Kansas City T-Bones from recording their first sweep of the season. 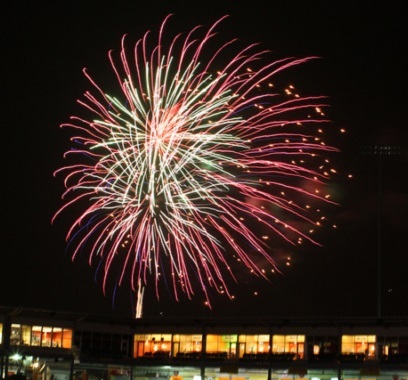 The Kansas City T-Bones beat Lincoln Wednesday night at Haymarket Park, in a 2-1 final. 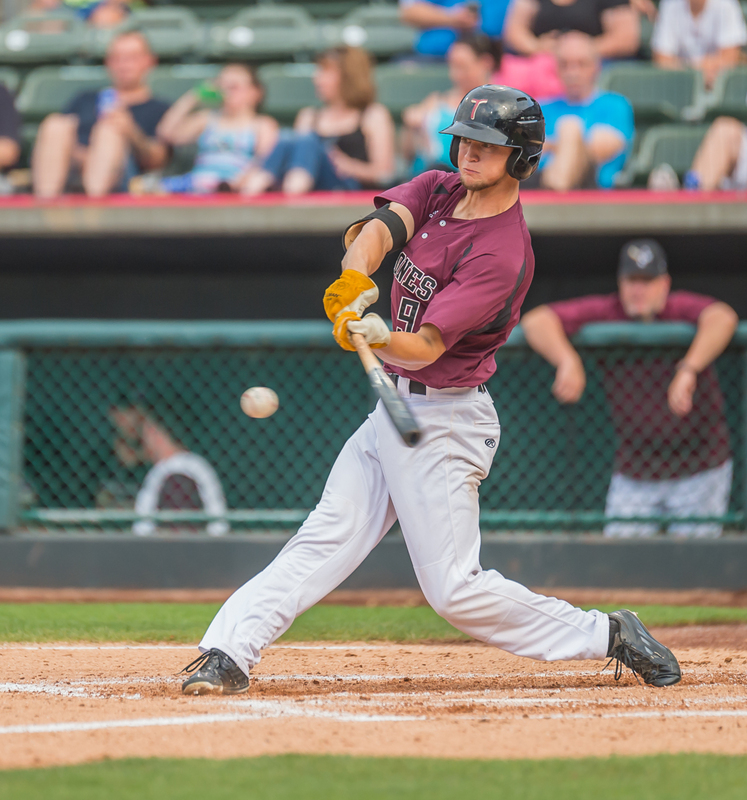 The Kansas City T-Bones prevailed to a 6-1 win over Lincoln Tuesday night at Haymarket Park. 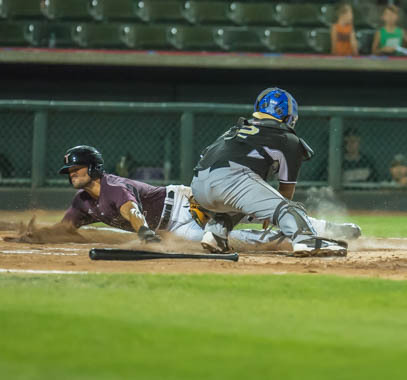 In an eight-innning pitchers' duel, the Kansas City T-Bones beat the Laredo Lemurs, 2-1, Sunday night on a wild play in the ninth. 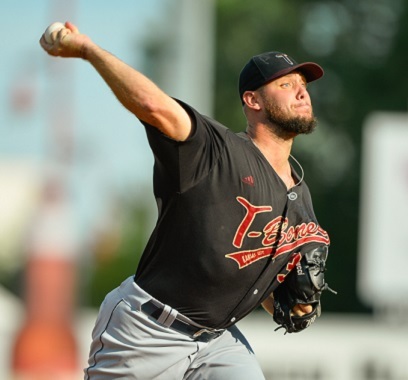 Laredo starter Matt Sergey threw six shutout innings and silenced Kansas City’s bats in a 9-1 Lemur win Saturday night at Uni-Trade Stadium. 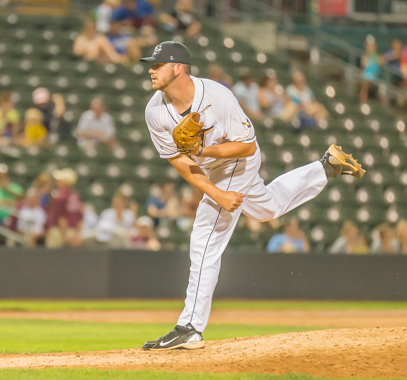 Pitcher Jared Messer was solid in his first start for Kansas City of 2016, but the Laredo Lemurs beat the T-Bones, 6-2, Friday night. 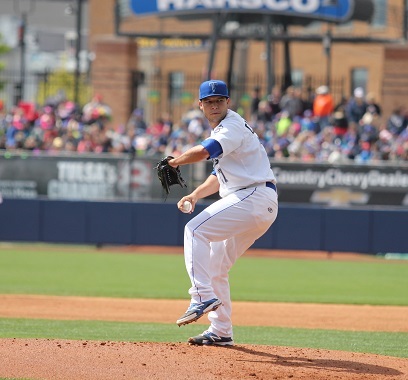 Kansas City’s bats were stifled by Wichita’s strong bullpen in a 6-4 loss Thursday afternoon at Lawrence-Dumont Stadium. 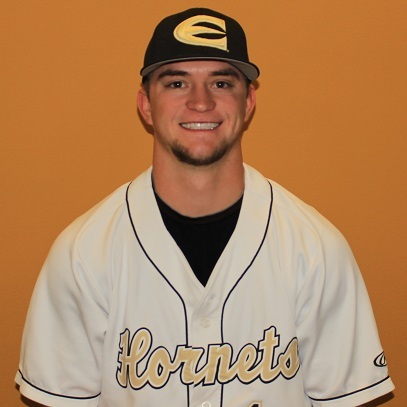 The Kansas City T-Bones announced they have signed outfielder Dalton Wheat. Wednesday night's game at Wichita has been postponed due to weather. 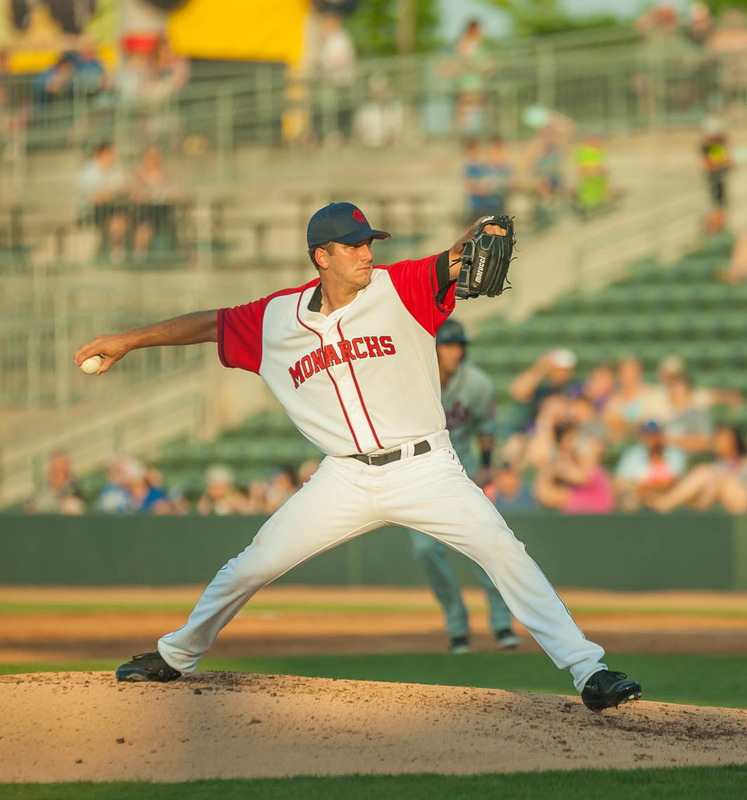 Wichita starter Jon Link gave up hits to only three Kansas City batters Tuesday night, as the Wingnuts beat the T-Bones. CommunityAmerica Ballpark will be the site of Metro Pro Wrestling matches on Aug. 27, the club announced today. After 14 innings, Wichita comes out on top. 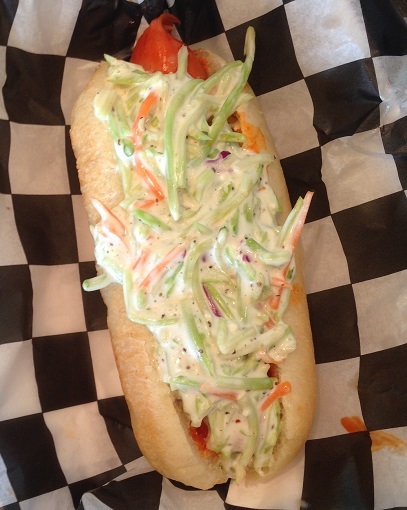 There are plenty of new soon-to-be favorite food choices at CommunityAmerica Ballpark this season. 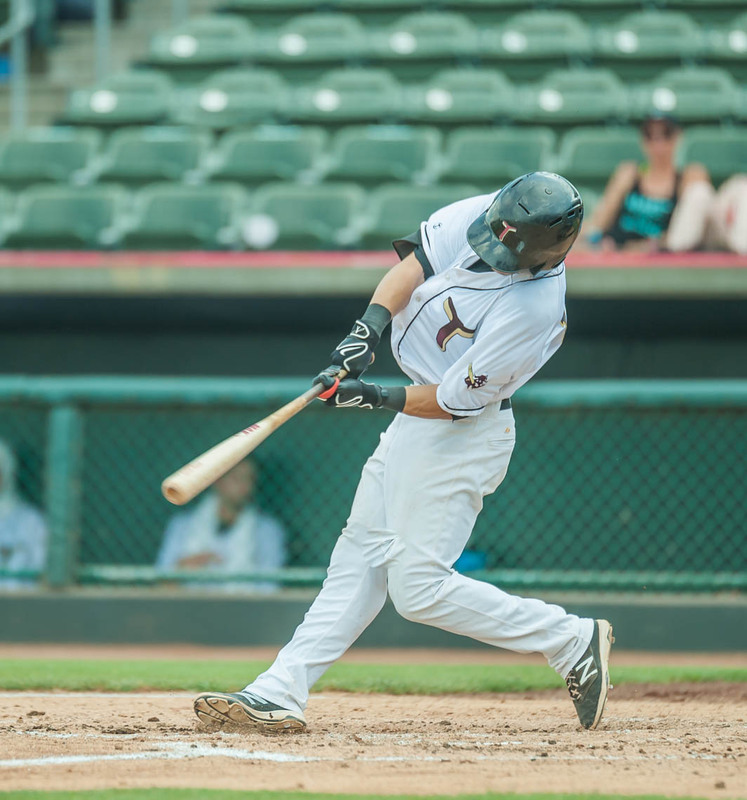 The Kansas City T-Bones snapped their three game skid with a 12-8 win against Sioux City, Sunday afternoon. 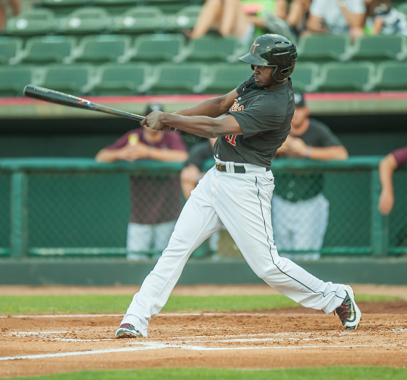 The Kansas City T-Bones dropped their third consecutive game Saturday night, 5-2 against Sioux City. 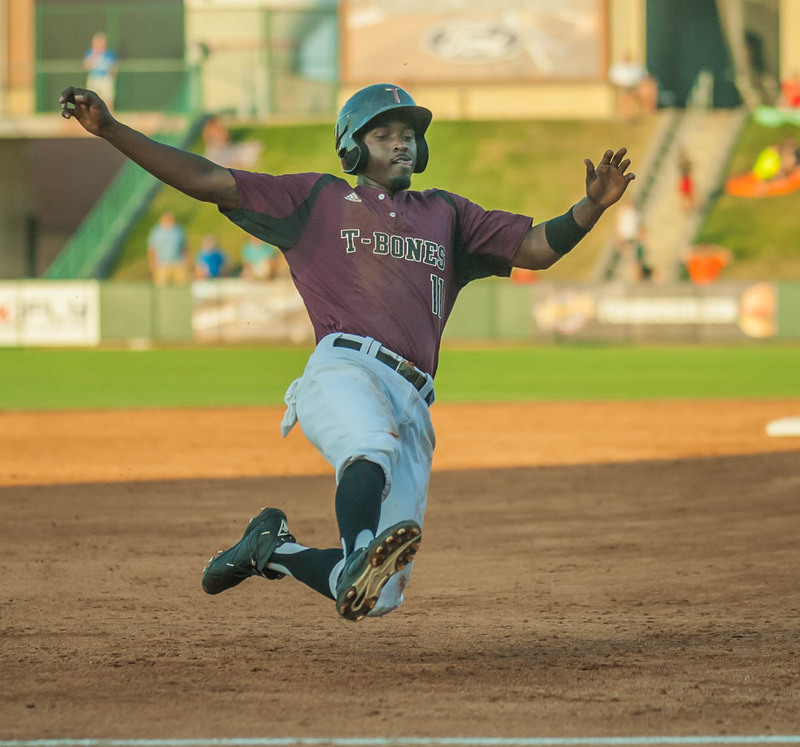 The Kansas City T-Bones dropped their second consecutive game Friday night, 10-2 against Sioux City. 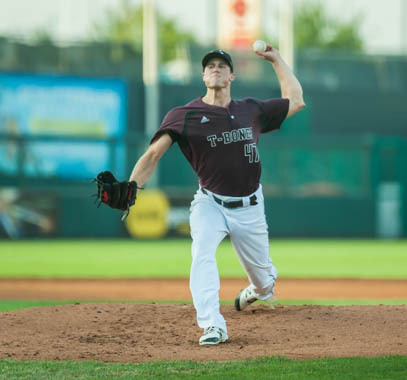 The Kansas City T-Bones were no-hit Thursday night, as Gary prevailed with a 1-0 win at the US Steel Yard. 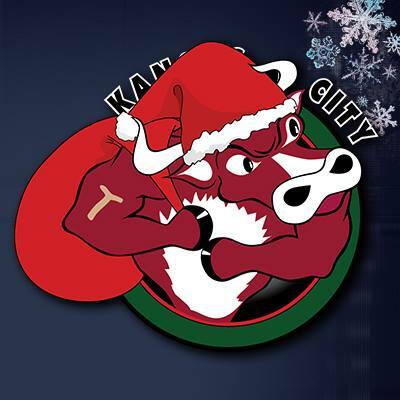 The Kansas City T-Bones committed a season high five errors, but beat Gary 4-3 Wednesday evening at the US Steel Yard. 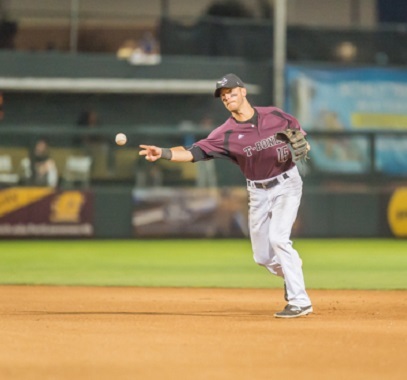 The Kansas City T-Bones dropped a tough 3-2 final Tuesday evening against the RailCats. 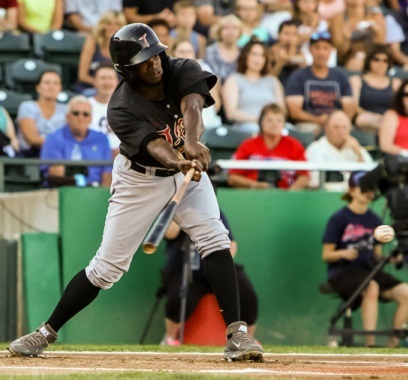 The Kansas City T-Bones won their fourth consecutive series opener Monday afternoon 7-1, against the RailCats. 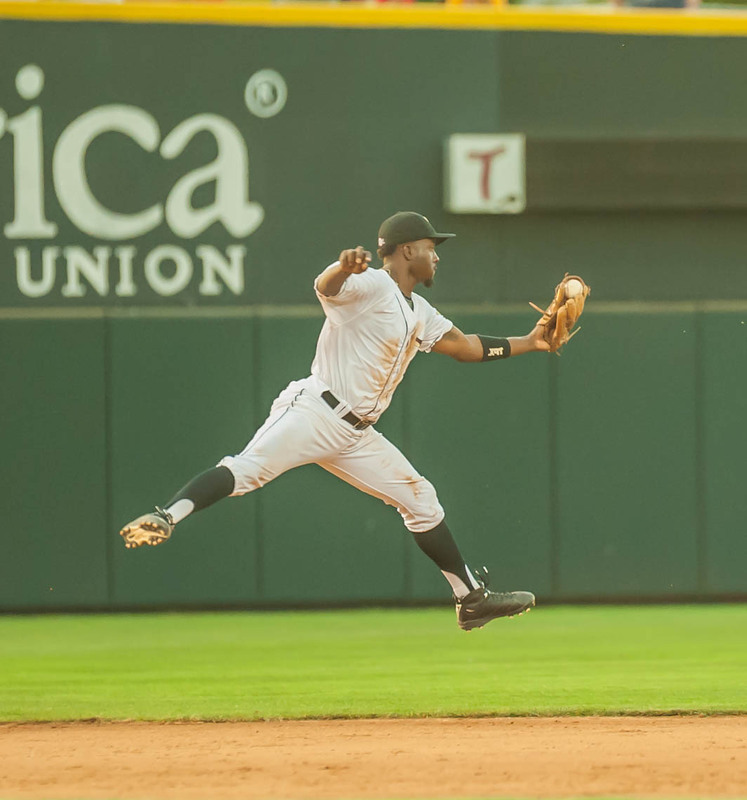 The T-Bones broke up the shutout in the ninth inning, but fell 4-1 Sunday night at CHS field against the Saints. 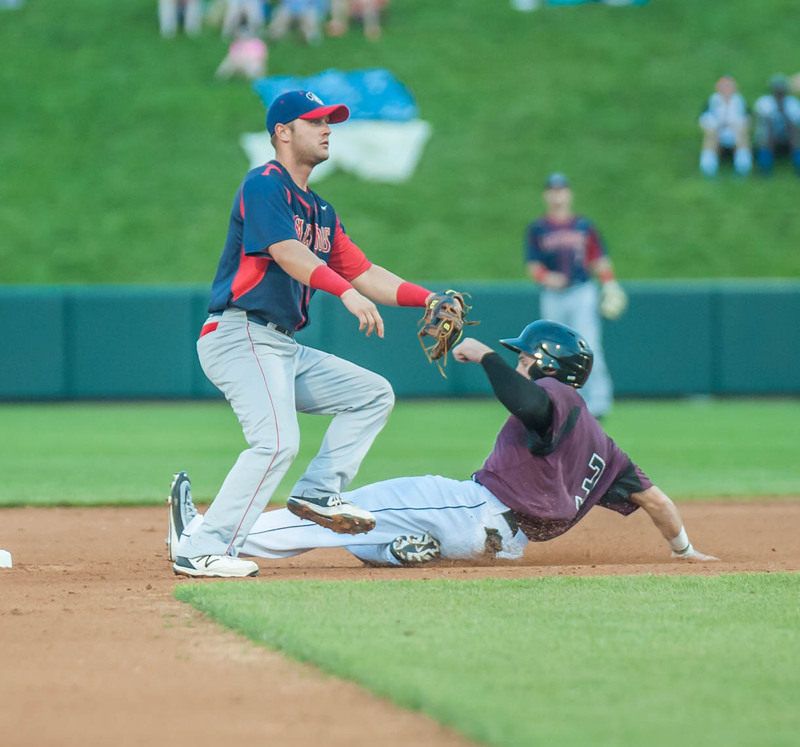 The T-Bones struck for four ninth inning runs to claim a 6-4 victory Saturday night at CHS field against the Saints. ST. PAUL, Min. 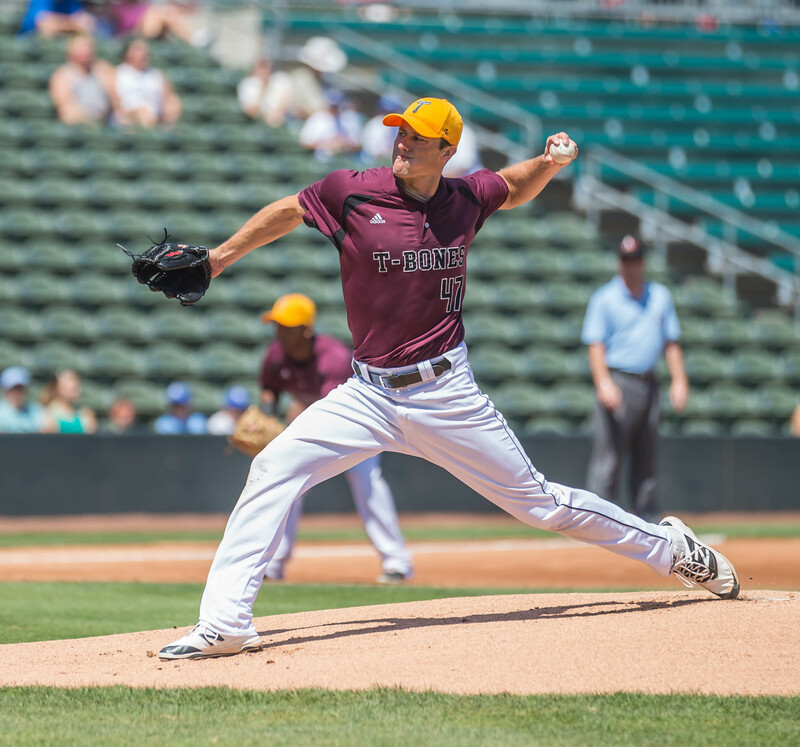 – The Kansas City T-Bones lost 7-5 Friday night at CHS field against the St. Paul Saints. ST. PAUL, Min. 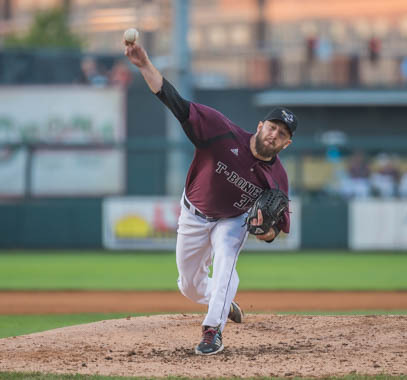 – The Kansas City T-Bones picked up a 10-2 win Thursday night at CHS field against the St. Paul Saints. 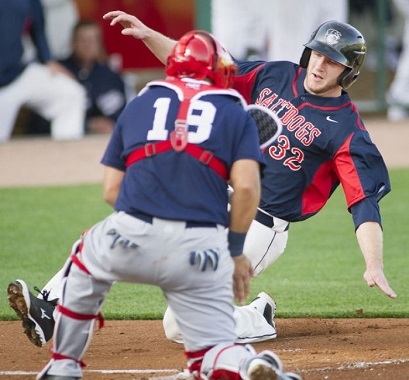 Kansas City defeated the Lincoln Saltdogs, 2-1, after splitting the series opening weekend. 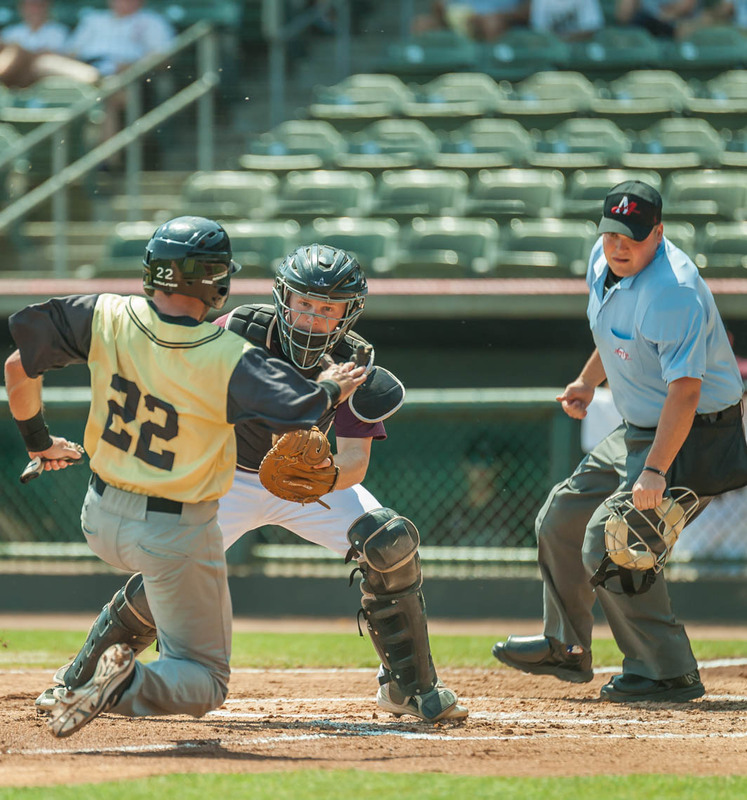 A T-Bones game this summer won't break your wallet. 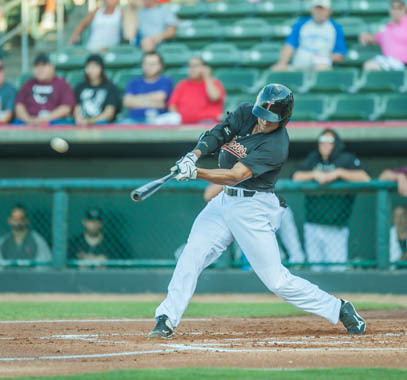 T-Bones hit three home runs in win over AirHogs. 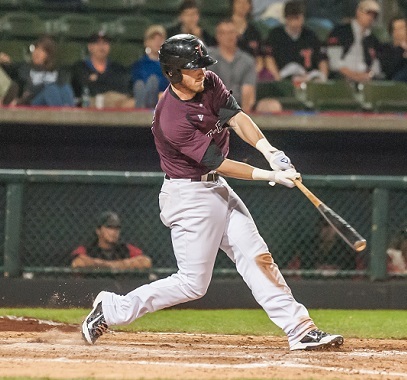 A strong sixth inning featuring a home run from Anthony Gallas helped secure the 9-4 Opening Day victory for the T-Bones. Lauren Chamberlain, the all-time NCAA softball home run leader, appeared at CommunityAmerica Ballpark on Friday night. 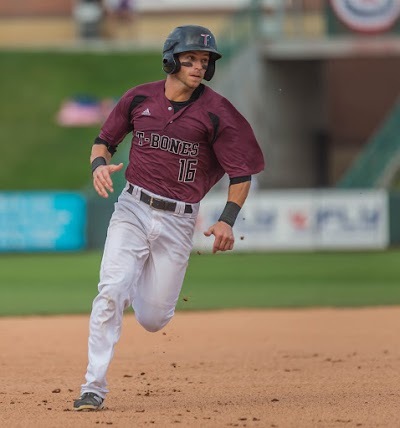 The T-Bones announced they have signed outfielder Anthony Gallas to a contract for the 2016 season. 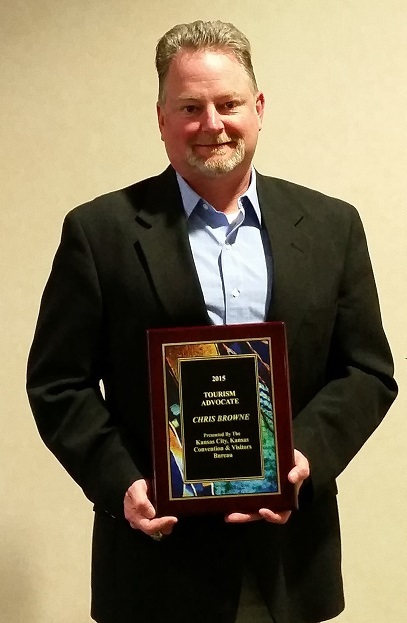 The T-Bones would like to congratulate Chris Browne, who was selected as the Tourism Advocate of the Year by the KCK CVB. 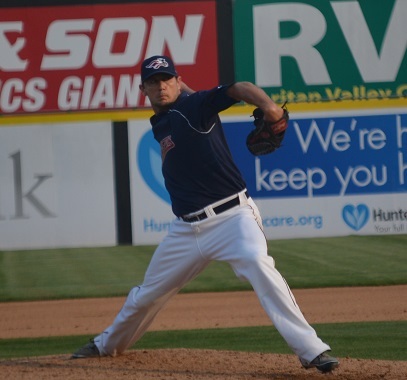 The T-Bones have signed pitcher Travis Garcia, who attended the club's open tryout on April 23. Nearly every former baseball player would take another day in the sun. Keith Tate is no exception. They're back! 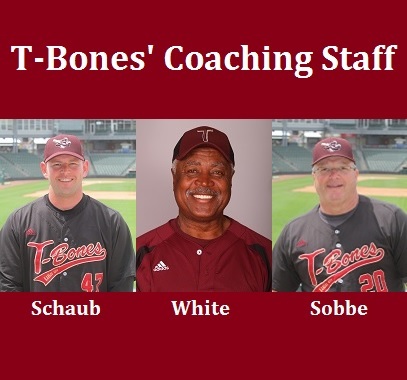 The T-Bones and manager John Massarelli announced the 2015 coaching staff will be back in '16. 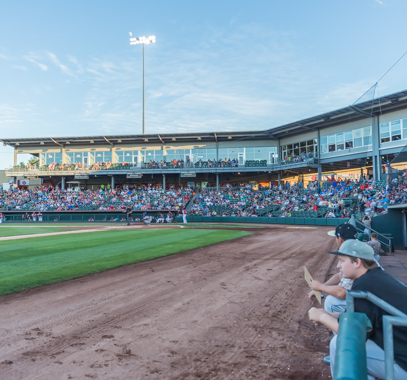 With Opening Day 2016 less than a month away, fans will be safer behind the dugouts at CommunityAmerica Ballpark. 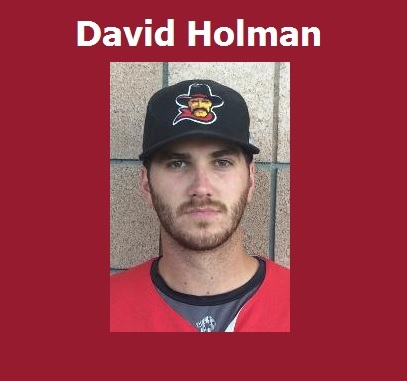 The T-Bones announced they have signed Kansas native David Holman to a contract for the 2016 season. 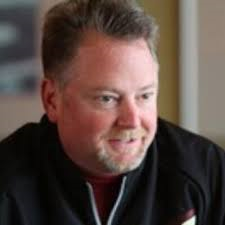 This installment of "Prime 9" features Kyle Disney, the T-Bones' Stadium Operations Coordinator. 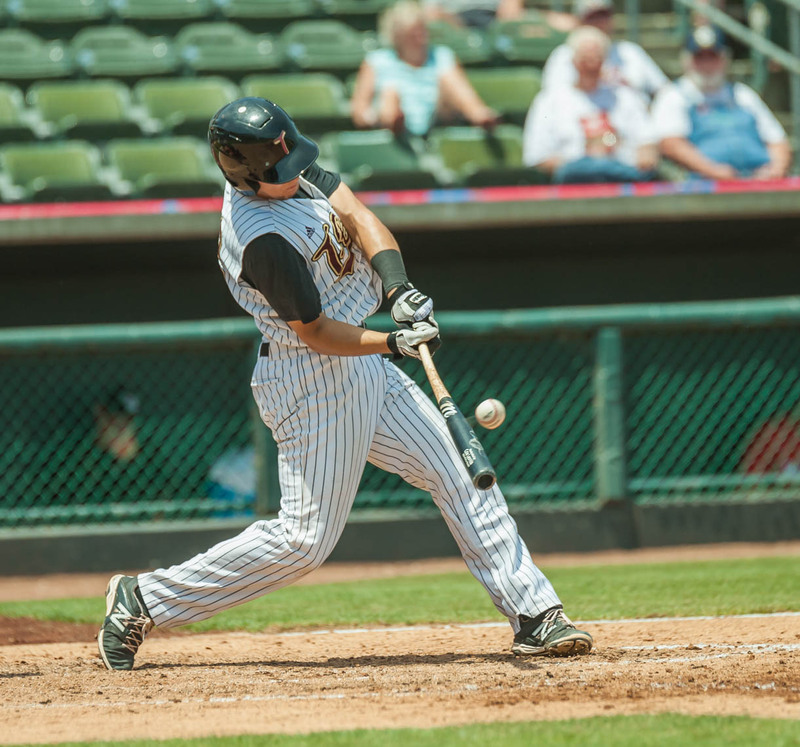 The T-Bones announced they have signed pitchers Sean Furney and Lee Stoppelman, and catcher Cole Leonida for 2016. 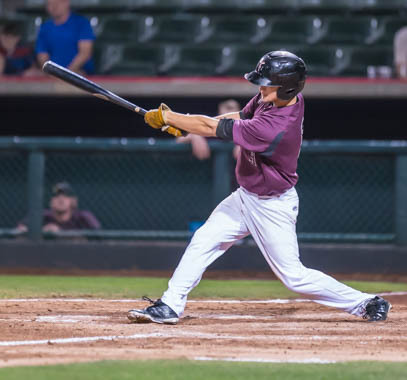 The T-Bones announced they have signed veterans Jimmy Mojica and Tyler Massey to contracts for the 2016 season. 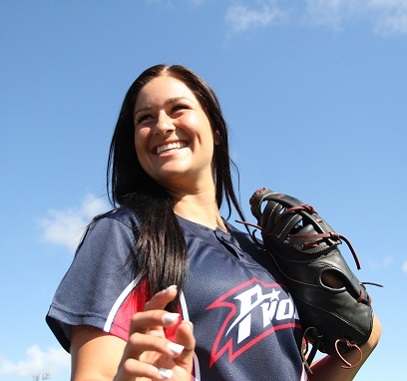 The T-Bones are pleased to welcome back professional fastpitch softball to Kansas City in July 2016. As the 2016 season inches closer, the T-Bones announced their early promotions and events schedule. 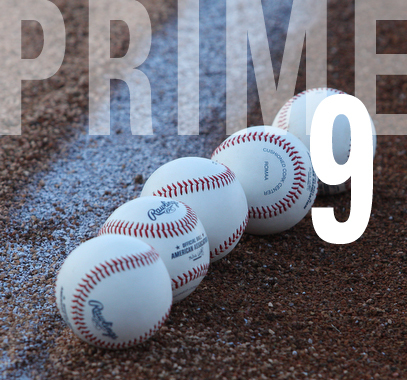 Throughout the rest of this offseason, we will periodically feature a staff member with a “Prime 9.” First up is Kacy Muller. 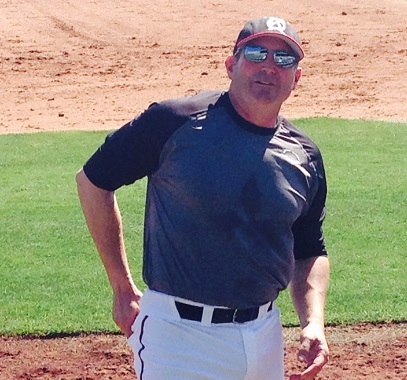 Tbonesbaseball.com sat down with team vice-president and general manager Chris Browne for 7 Questions. 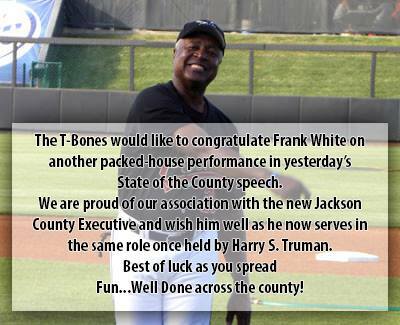 Congratulations to coach Frank White, who Friday delivered his first State of the County address as Jackson County Executive. 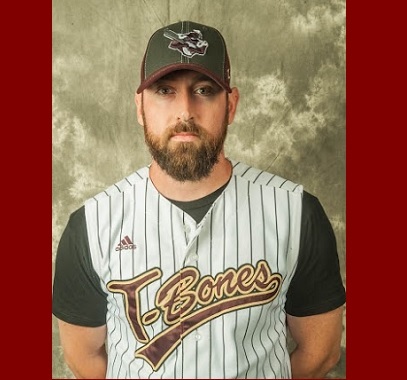 The T-Bones announced they have signed veteran outfielder Brian Joynt, who played for the team in 2010 and part of '11. Think you still have some gas left in your arm? Or you could hit some bombs over the mini-monster in left? Open tryouts are coming! 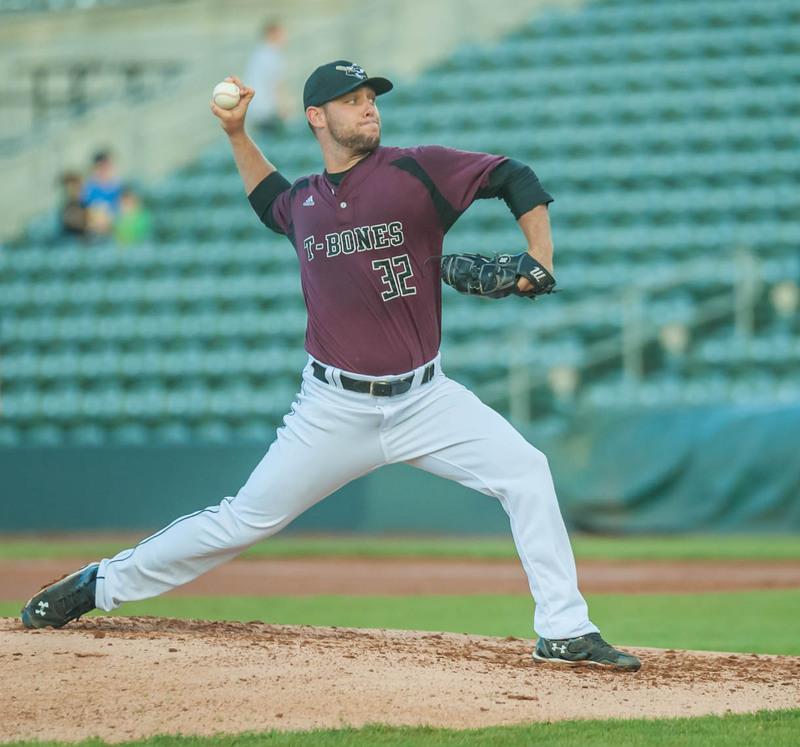 The T-Bones have announced they’ve re-signed pitchers Evan DeLuca and Jeremy Strawn to contracts for the 2016 season. 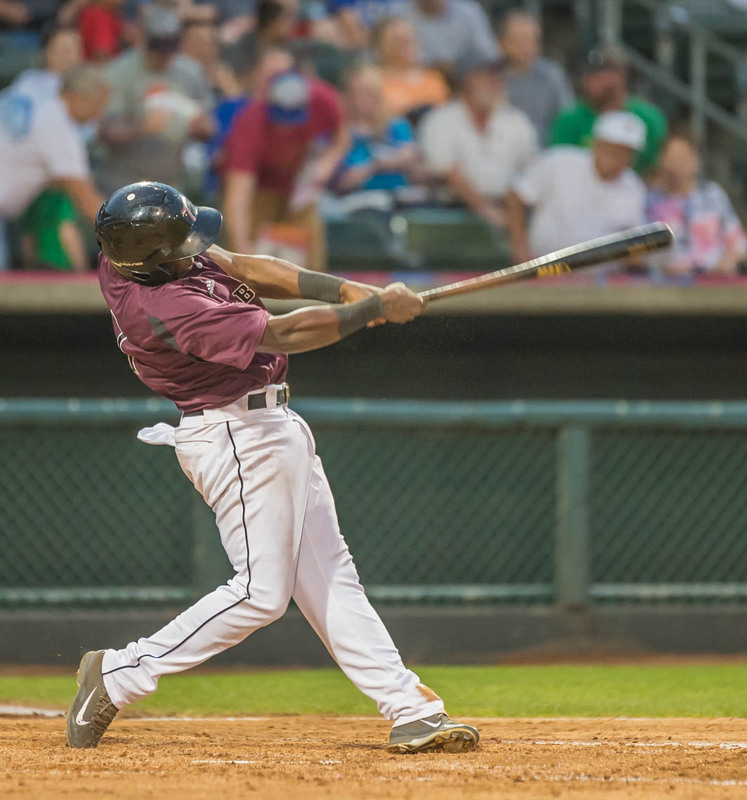 The T-Bones have re-signed outfielder Starlin Rodriguez and signed catcher Alejandro Segovia to contracts for 2016. 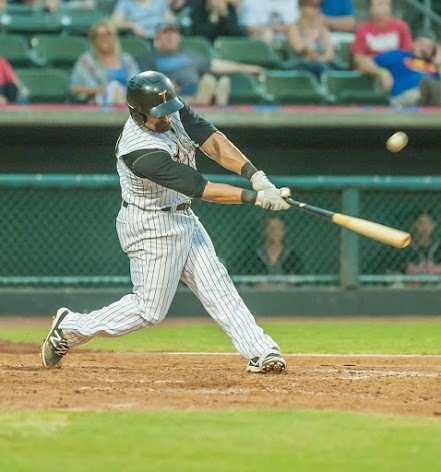 T-Bones re-sign their "Wizard of Oz"
The T-Bones announced that they have re-signed two-time Defensive POY Vladimir Frias to a contract for the 2016 season. 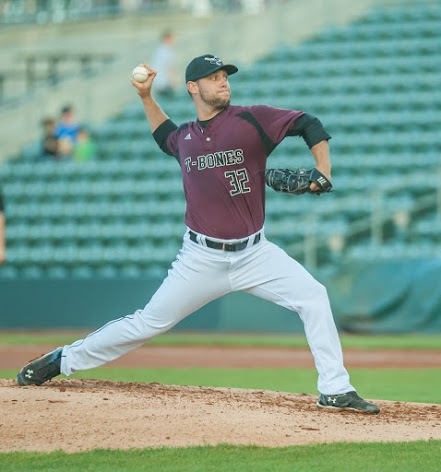 The T-Bones have acquired pitcher Dan Sattler from Somerset of the Atlantic League in exchange for a player to be determined. 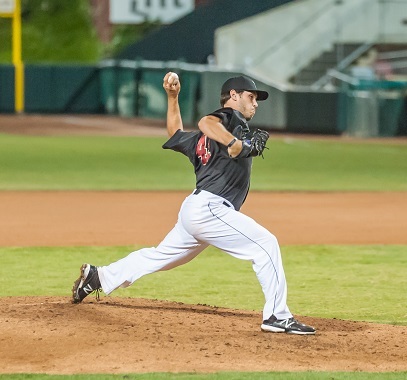 The T-Bones announced they have signed pitcher Richard Castillo to a contract for the 2016 season. 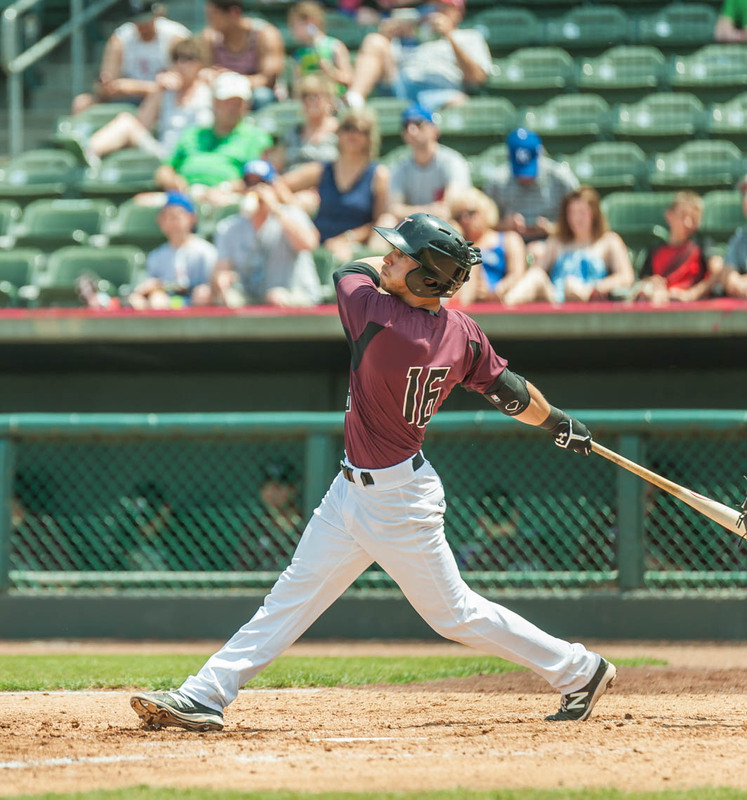 The T-Bones have announced they’ve re-signed catcher Brian Erie to a contract for the 2016 season. Mini Plans now available for 2016! 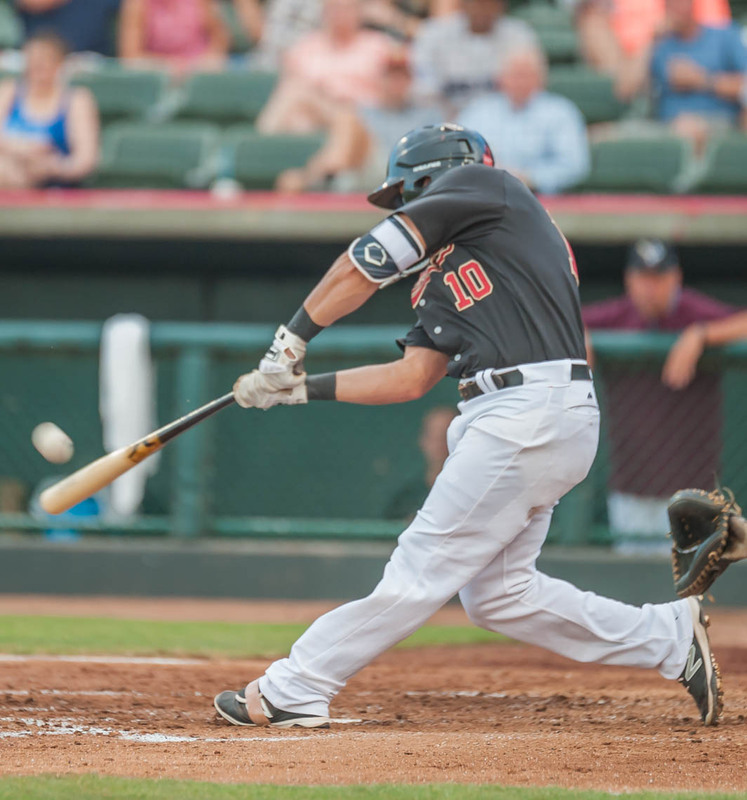 T-Bones' 2016 single-game tickets aren't on sale yet, but you can get a jump on the season with mini plans. 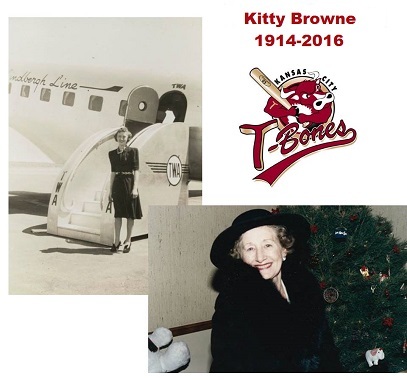 Our thoughts and prayers are with T-Bones GM Chris Browne with the death of his grandmother, who was 101. 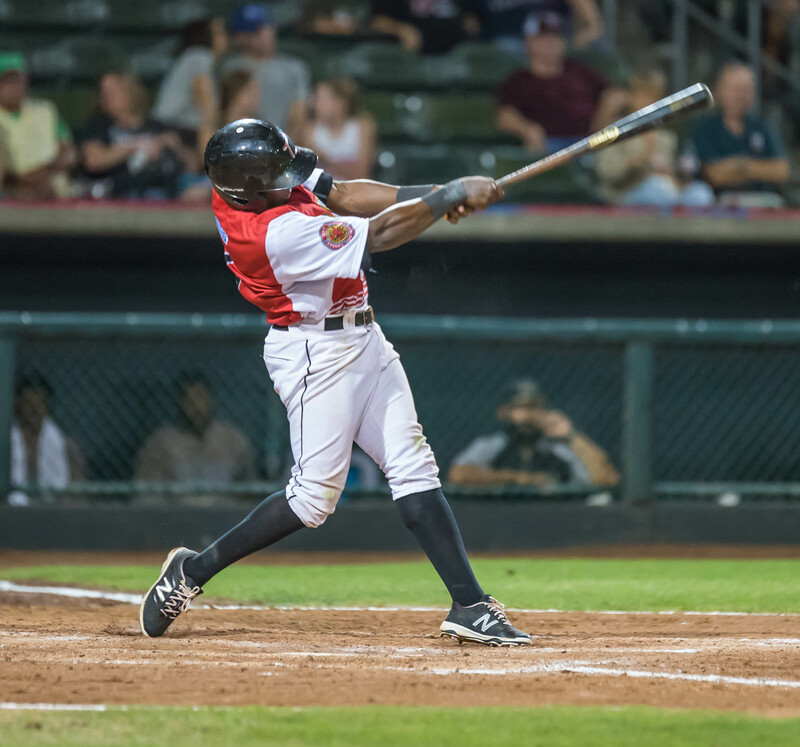 The T-Bones announced they have re-signed outfielder Kyle Robinson to a contract for the 2016 season. 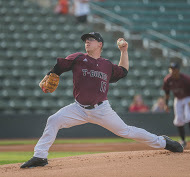 The T-Bones announced that the Toronto Blue Jays have purchased the contract of pitcher Bobby Doran. Happy New Year! As we head into 2016, here are our wishes for the new year. 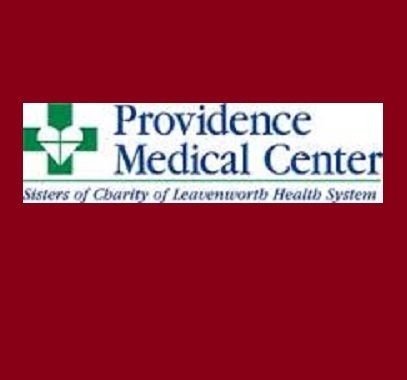 One of the T-Bones biggest partners, Providence Medical Center, received a major designation recently.